Come out and play some trivia while supporting a great cause — youth literacy. Everybody Wins! 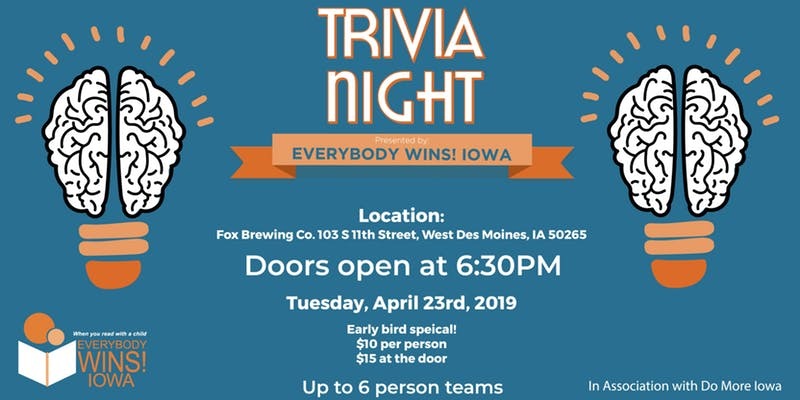 Iowa’s 4th annual trivia night will be held at Fox Brewing Company in West Des Moines on Tuesday, April 23. Doors open at 6:30PM and trivia will start at 7:00PM.